The Canadian landscape is an artist's dream. Inspired by Canada’s rugged wilderness regions, the Group of Seven captured this vista in a distinct new style. Now Canadian painters and photographers continue to delight in the beauty that is to be found here. 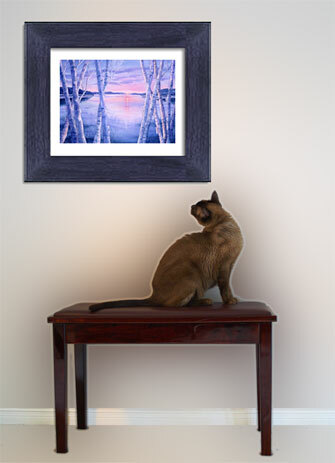 You too can enjoy the images of these stunning Canadian landscapes by browsing our galleries of paintings and photographs, or even by hanging a picture in your own home. Ontario Gallery not only features art from Canada, but we also feature artworks from other locations from time to time. Recent Addition: "The Sunny Spot"
If you are an artist in Canada please feel free to contact us to enquire about displaying your Canadian art in our gallery. Ontario Gallery is committed to providing a quality service to customers interested in buying high quality Canadian art and also to allow people from around the world to view the beautiful vistas that we are privileged to enjoy on our doorstep.